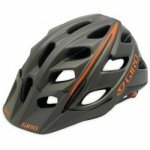 Rugged construction, combined with a low cut design at the rear offers unparalleled protection in the Giro Hex Helmet. Hex brings a new level of value and performance for the all-mountain rider with 21 channelled and sculpted Wind Tunnel vents to keep your head properly ventilated on slow climbs. Also available in a ladies specific fitment in the white/pink colourway. In-Moulded upper and lower hardbody for high strength and maximum protection. RocLoc 4 fits like a glove allowing lateral and vertical adjustment. Patented POV system keeps the visor stable and firmly in position whilst charging along the trails or through bad weather - 15 degrees of adjustment for perfect vision and eye protection. Weight: 310 grams. Meets CE EN1078 certification.